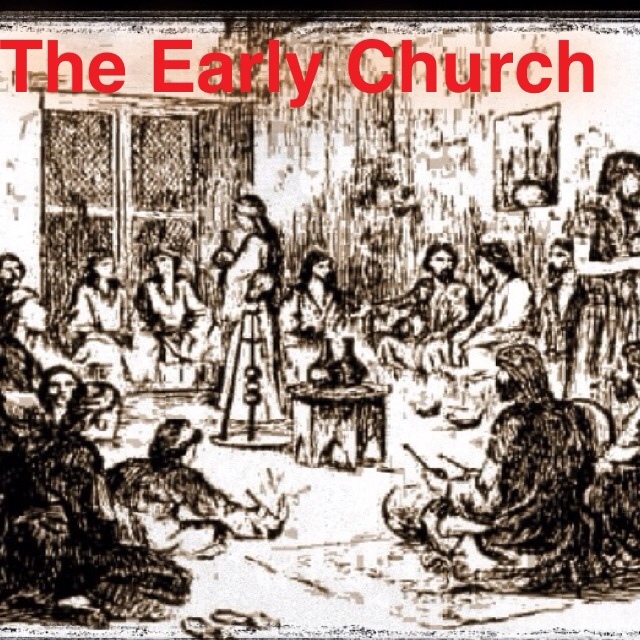 #tbt 2 – What did an early church meeting look like? The 2nd weekly instalment of #tbt, a throw back to the history of the Christian church to see what we can learn from them. This week – What did the first church meetings look like? One of the earliest mentions of a 'church meeting' as we think of it is shown in Acts 20 when Paul was in Troas. Take a read here. So what do we know about it? Where did it take place, and what happened in Troas when Paul sat down with this gathering of Jesus followers? 1. It took place on the first day of the week, and Saturday was the sabbath then, so it would have happened on on a Sunday and probably in the evening (as Sunday was a working day). 2. It took place in an apartment. 3. We know from Paul's letters that they shared food together, sang songs together (from the Old Testament as well as their own Christian songs), they received prophecy, and we know from historical writings that very early on there were elements of liturgy in their gatherings. So a packed programme! 3. I find it fascinating that we know that Paul was not preaching here. The original word in verse 7 used here is the Greek word 'dialegomai', which means conversing, or discussing. So we know that Paul wasn't preaching at this meeting, but he was having a conversation at this meeting. A sharing of ideas led by Paul. He wasn't simply delivering information and telling them stuff that was one-way, but it was a dialogue. He had chats with those present. So what can we learn from this? We were never meant to rely on one person preaching to us in order for us to discover the truth and message of Jesus. Right from the beginning it was a conversation, and discussion. Let's not depend on the individual guru for all of our spiritual food. Let's engage, initiate and encourage healthy discussion. If you're anything like me, You'll love sitting and listening to a good sermon or preach from some epic preacher. And I don't think there's anything wrong with that (and I think we need times when we sit and listen to a preacher). But if it becomes the only way we engage with the message it can become a problem – as we become far more passive than we were created to be. God has given us a brain to think and ponder. Let's use it. Ask questions of yourself. Ask questions to your teachers, leaders and trusted friends. Get involved in some discussion about the message we hear. Let's engage in some “dialegomai”. Now, depending on the preacher it may not be best to shout out a random thought or question in the middle of their preach(!! ), but most churches provide other opportunities for discussion, small groups, home groups, bible study's and more. Let's take these opportunities. I'm sure there's tons of other points we could make here, What else can learn from them? Leave any comments below, let's start a dialegomai! ← “#tbt” – New Regular Blog Slot.